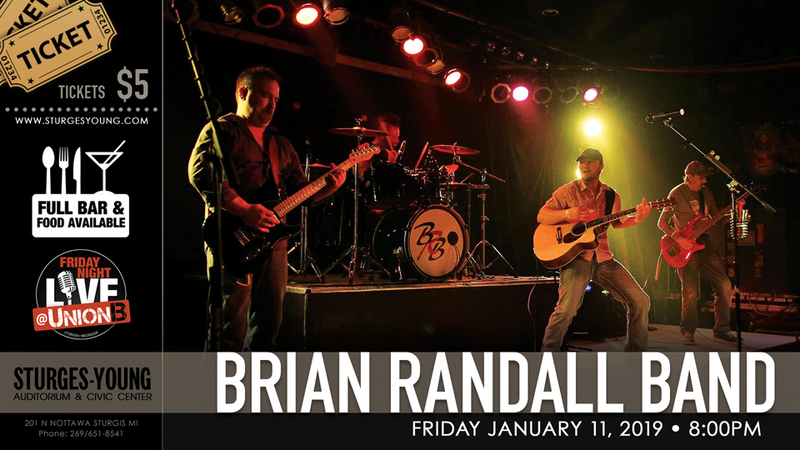 01/11/2019 20:00 01/11/2019 23:00 America/New York Brian Randall Band Emerging as one of the top country bands, now located in Grand Rapids area, the Brian Randall Band was formed in the early months of 2012. The high energy mix of today's country stars, line dancers favorite dancing music, and their own originals from their first LP "Guys Night Out". The Brian Randall Band will leave you wanting more every time you catch their show. They have shared the stage with such acts as Lee Brice, Chris Cagle, and Michael Ray, with a 2017 sure to add to that list. Whether its fairs, weddings, or your favorite watering hole the Brian Randall Band is one that you and your friends will not want to miss. **Previously seen on the Bike Night stage at Sturgis Fest 2018. Sturges-Young Auditorium: Emerging as one of the top country bands, now located in Grand Rapids area, the Brian Randall Band was formed in the early months of 2012. The high energy mix of today's country stars, line dancers favorite dancing music, and their own originals from their first LP "Guys Night Out". The Brian Randall Band will leave you wanting more every time you catch their show. They have shared the stage with such acts as Lee Brice, Chris Cagle, and Michael Ray, with a 2017 sure to add to that list. 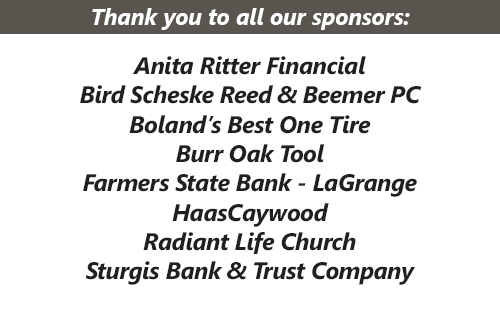 Whether its fairs, weddings, or your favorite watering hole the Brian Randall Band is one that you and your friends will not want to miss. **Previously seen on the Bike Night stage at Sturgis Fest 2018. Emerging as one of the top country bands, now located in Grand Rapids area, the Brian Randall Band was formed in the early months of 2012. The high energy mix of today's country stars, line dancers favorite dancing music, and their own originals from their first LP "Guys Night Out". The Brian Randall Band will leave you wanting more every time you catch their show. They have shared the stage with such acts as Lee Brice, Chris Cagle, and Michael Ray, with a 2017 sure to add to that list. Whether its fairs, weddings, or your favorite watering hole the Brian Randall Band is one that you and your friends will not want to miss. **Previously seen on the Bike Night stage at Sturgis Fest 2018.